TAG have curated an eclectic extension to the street art gallery we have created around the Turnpike Lane area. 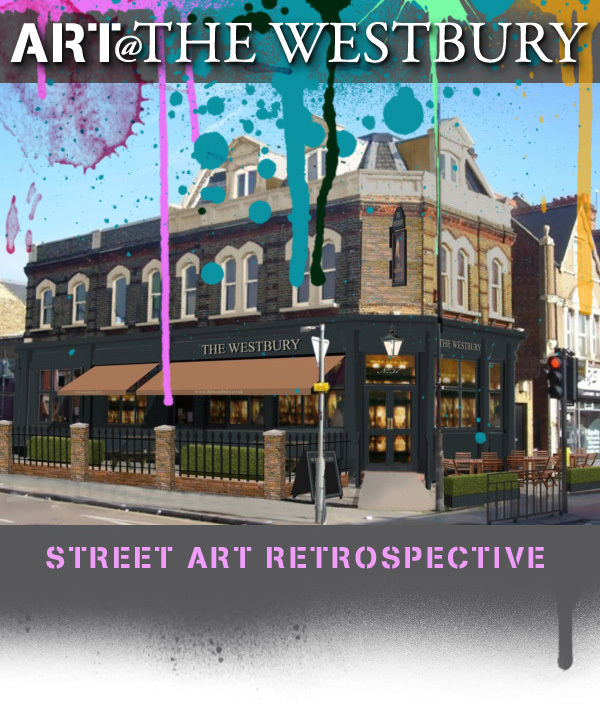 To coincide with the opening of a local, newly refurbished London pub - The Westbury - we are presenting a capsule exhibition of stimulating street art. All artworks are available to buy. SPECIAL LAUNCH EVENT - Thursday 16th October. From 6.30pm.